Looking through the carousel of visual memories above, it is really amazing to reflect on all that we have been able to do, and all of the people in Sheffield that our team has been able to point to the Gospel. For that, we thank God and you who have helped to make this possible through your prayer and support. 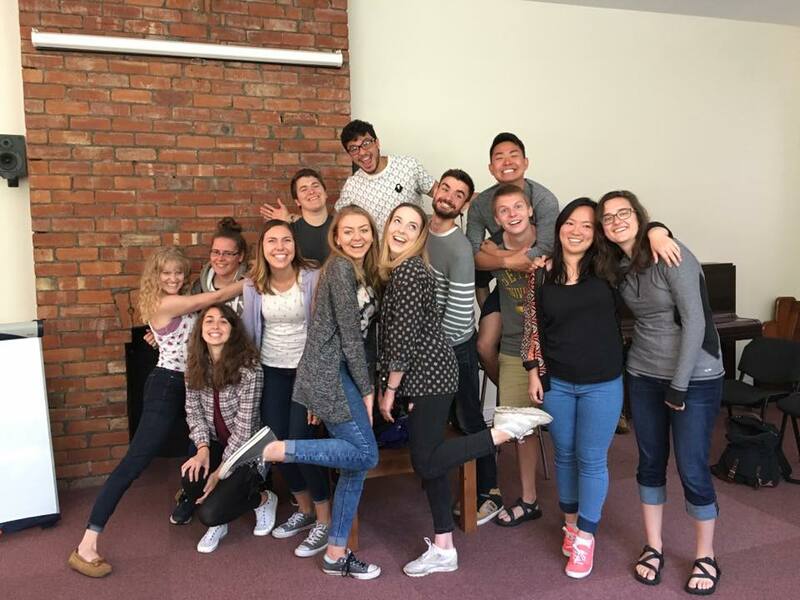 To recap on this summer, myself and six other U.S. students formed a Cross Cultural Project (CCP). We were later joined by seven British students to launch a Summer Leadership Project (SLP) in Sheffield, U.K. Over the last two months we have learned how to study the Bible, been trained in evangelism, shared our faith collectively with hundreds of students, processed applying the gospel to so many areas of life, and experienced deep fellowship - all within our local church in Sheffield. Pray for the lost and unbelieving people the CCP team have engaged with this summer. Specifically university students that attend The University of Sheffield and Sheffield Hallam University. Pray that the English people group would know Jesus Christ as their personal Lord and savior, and, in turn, they would share the gospel message in their thoughts, words and deeds with others. Would get connected with a gospel-centered Church in Sheffield. Would get connected with the long term CO team planted in Sheffield. Travel back to their native country and share the gospel there. Pray God would start planting the seeds for next year’s CCP team and the years to come. Many of the students on STP '16 ARE members of future CCP teams. Finally, pray for the needs of the world to hear Jesus! We want to take the opportunity as a team to recognize your work as supporters. Through prayer and financial support people from all over the world have been able to hear about the glorious grace of the Father through Jesus Christ. Know that your support has the opportunity to change an eternity for someone, and that is not a small thing. Know that not only are we grateful, but that God sees your faithfulness. Please continue to pray for our team during these post-short term mission days. Pray we would soak in the rest of this project and actually process all we have learned. Pray this summer would be a BIG step in shaping us to become life-long laborers for Christ! Can't you see? S. L. P. - We are best friends. C. C. P. - Best friends 'til the end. Thanks Alli for photo shooting Sheffield - the friendliest and safest city in the U.K.
Every breath we take, every move we make, every single day, every time we pray - Jesus stays the same.